Considerable debate surrounds the assessment of the environmental impacts and the ethical justification for providing a year-round supply of fresh produce to consumers in the developed countries of northern Europe. Society is seeking environmentally sustainable supply chains which maintain the variety of fresh food on offer throughout the year. This paper compares the environmental impacts of different supply chains providing lettuce all year round to the UK and considers consumers' meanings of—and attitudes to—available options. Lettuce has been selected as a case study as its consumption has grown steadily during the last two decades and the supply chains through cold months are protected cropping in the UK and field cropping in Spain; during warm months, lettuce is sourced from field cropping in the UK. Data were collected from farms supplying each of these supply chains, and life cycle assessment methodology was used to analyse a range of impacts associated with producing (from plant propagation to harvesting and post-harvest cooling) and delivering 1 kg of lettuce to a UK Regional Distribution Centre (RDC). The downstream stages (i.e. retailing, consumption and waste management) are the same regardless of the origin of the product and were omitted from the comparison. The impacts considered included potential to induce global warming and acidification as well as three inventory indicators (primary energy use, land use and water use). Qualitative data were collected in order to assess the consumer considerations of purchasing lettuce also during winter. Importation of Spanish field-grown lettuce into the UK during winter produced fewer greenhouse gas (GHG) emissions than lettuce produced in UK-protected systems at that time (0.4–0.5 vs. 1.5–3.7 kg CO2-eq/kg lettuce in RDC). Refrigerated transport to the UK was an important element of the global warming potential associated with Spanish lettuce (42.5% of emissions), whilst energy for heating dominated the results in UK-protected cultivation (84.3% of emissions). Results for acidification were more variable and no overall trends are apparent. 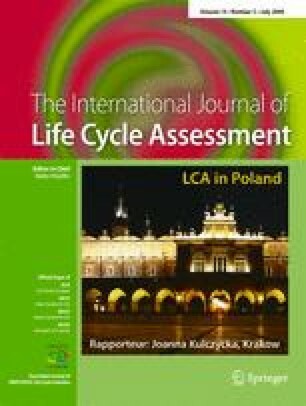 Results from qualitative social analysis revealed complex and multidimensional meanings of freshness and suggested that the most striking seasonal variation in vegetable/salad eating was a tendency to consume more salads in the summer and more cooked vegetables in the winter, thus suggesting that in-home consumption alone cannot explain the rise in winter imports of lettuce to the UK. UK field-grown lettuce had the lowest overall environmental impact; however, those lettuces are only available in summer, so consumers therefore need to either accept the environmental impacts associated with eating lettuce in the winter or to switch consumption to another food product in the winter. When lettuces were field-grown in Spain and then transported by road to the UK, the overall impacts were similar to the UK field lettuces. The variation within farms of the same country employing different cultivation regimes and practices was bigger than between farms of different countries. This paper has explored the environmental consequences of consuming lettuce year-round in the UK. Whilst recognising the small sample size, the comparative analysis of the different supply chains does suggest that seasonality can be an important variable when defining the best choice of lettuce from an environmental point of view. Further studies considering more production sites and product types are required to obtain conclusions whose general validity is clear and for different types of fresh produce. A clear distinction to be made in such studies is whether crops are produced in open fields or under protection. New characterisation methods are needed for environmental impacts derived from the use of key agricultural resources such as land and water. Social studies to investigate consumer preferences and the possibility of moving to more seasonal diets should be an integral part of these studies using samples composed of both urban and rural consumers and using a mixed methodology with both quantitative and qualitative components. This work was part of a larger project entitled ‘Comparative assessment of environmental, community and nutritional impacts of consuming fruit and vegetable produced locally and overseas’ (RES-224-25-0044) which was funded under the UK Research Councils Rural Economy and Land Use (RELU) Programme. We thank the RELU programme for all their support. We are also very grateful to the horticultural businesses which participated in the project and gave so freely of their time and expertise. Dr. Hospido acknowledges Caixa Galicia Foundation for financial support during her postdoctoral stay at CES; she is currently funded by the Isidro Parga Pondal programme (Xunta de Galicia). Dr. Milà i Canals acknowledges GIRO CT (http://www.giroct.net) for its logistical support. Dr. McLaren’s recent involvement was funded through the New Zealand Foundation for Research, Science and Technology Programme ‘Building Capacity for Sustainable Development: the Enabling Research’ (CO9X0310). Preliminary results were presented in the 5th International Conference LCA in Foods (http://www.sik.se/lcafoods2007/). Two anonymous reviewers provided valuable comments that helped improving this paper.